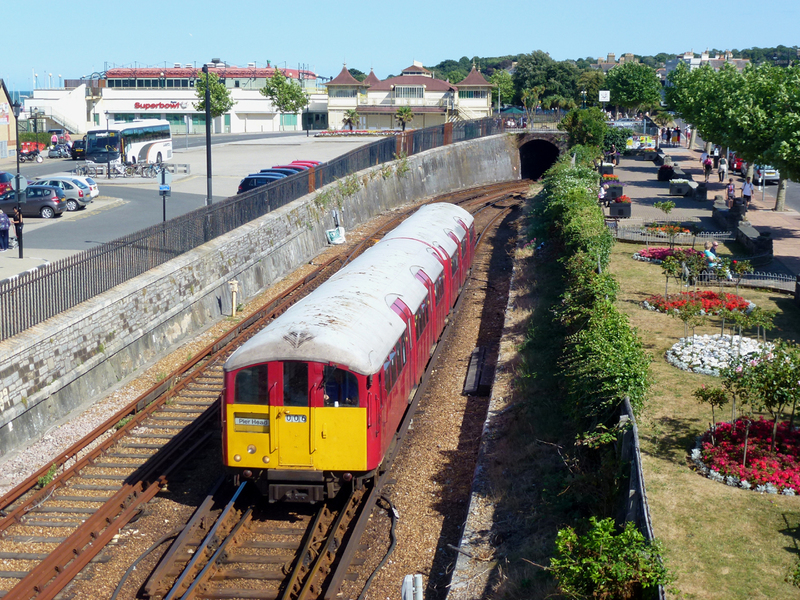 03/August/2014 Ryde, Isle of Wight. First I must apologise for the quality of the former London Underground unit images as they were taken on a "point and shoot" camera on a mainly family day out,and although good in its class,can not hope to compete with my Canon,but neverthe less,483006 awaits departure from Ryde Esplanade station with 2D23 11.07 Ryde Pier Head to Shanklin service. 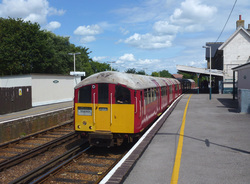 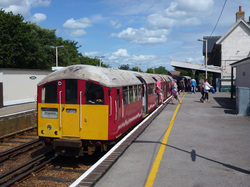 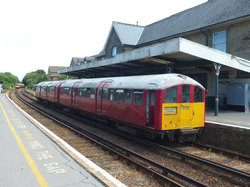 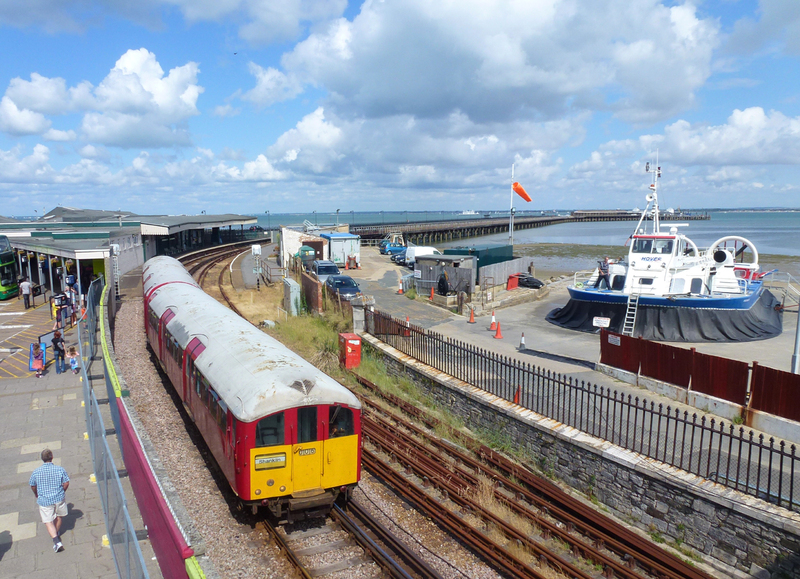 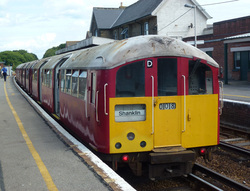 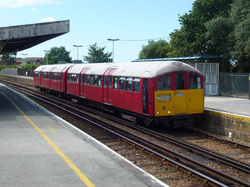 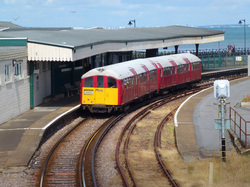 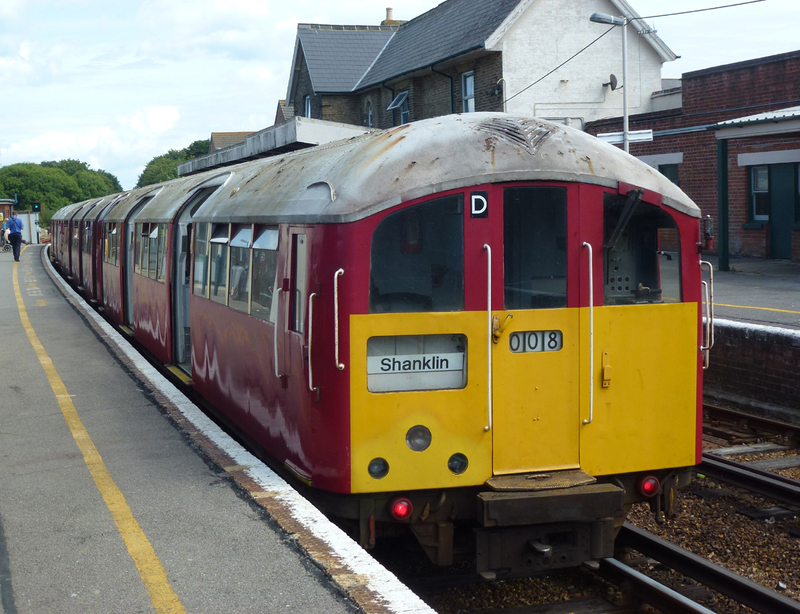 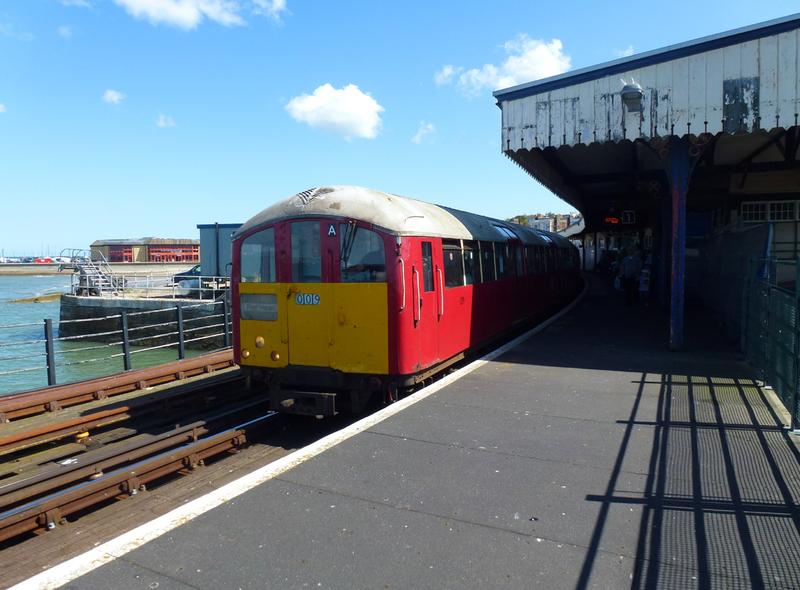 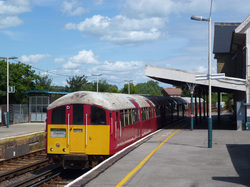 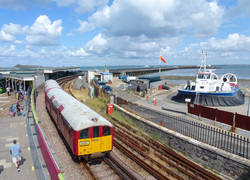 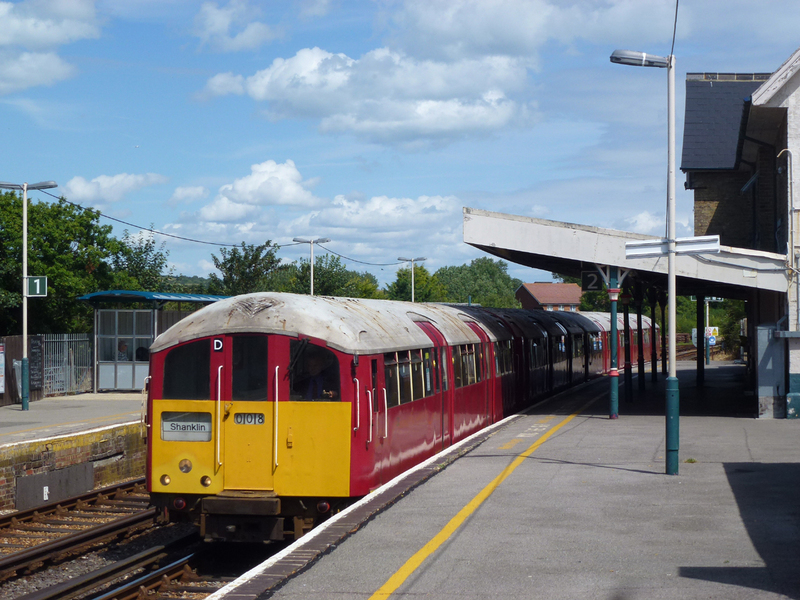 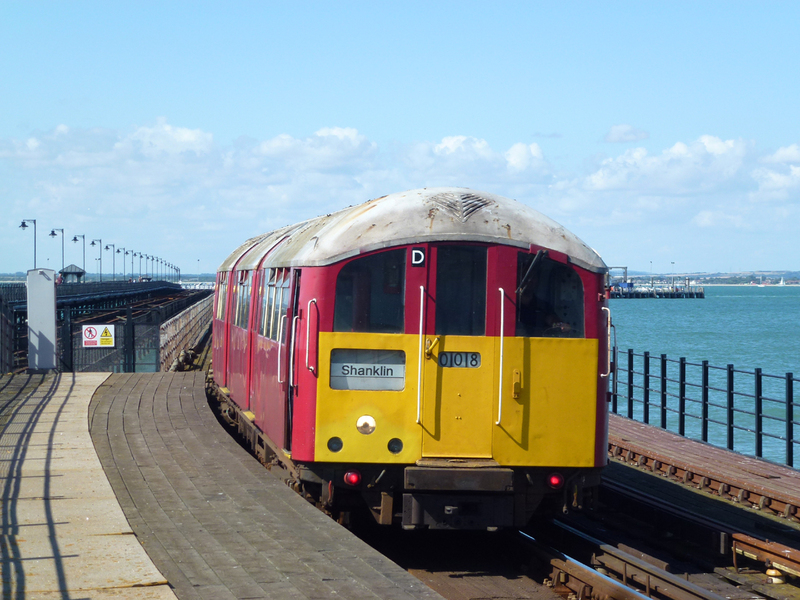 483006..2U44 15.38 Shanklin to Ryde Pier Head. 483008 2D29 12.49 Ryde Pier Head to Shanklin.